In order to provide a stimulus to the electric vehicle (EV) sector in Uttar Pradesh, the state energy watchdog has announced a liberal tariff chart for EV charging stations. The tariffs finalised by UP Electric Regulatory Commission (UPERC) would be applicable to both residential, commercial and public charging stations in the state. So far, only a handful of states have announced such a category of tariffs for charging EVs. The Adityanath government is bullish on the solar and renewable energy sector and is keenly promoting the use of EVs, both in public and private transport. The e-rickshaw segment is also growing rapidly across the state. The UP government plans to deploy nearly 580 electric buses across the state in the coming months to cut vehicular emissions and save on the cost of operations. According to the tariff plan, domestic metered consumers would be allowed to charge their individual EVs within their premises at the normal power tariff, provided the additional draw does not exceed the sanctioned load. Those who install EV charging stations in multistory buildings will have to take a separate connection for such stations, while the tariff would range between Rs 5.90/kwh (kilowatt per hour) and Rs 6.20/kwh. For installing public EV charging stations, the effective power tariff would range between Rs 7.30/kwh to Rs 7.70/kwh. However, the consumers will be required to pay one time charges wherever applicable, as per the UPERC order. Besides, the applicable tariffs for public charging stations would also vary depending on the time of charging and the season. Meanwhile, the commission has advised consumers to take an adequate load for these charging stations in order to avoid penalties and punishment under other penal sections. The power distribution companies (discoms) have been asked to include the tariff for EV charging in the existing Rate Schedule for 2018-19 of Tariff Orders dated January 22, 2019, as a separate category. They have also been directed to publish the new tariff finalised by the UPERC in newspapers. The tariff plan would come into force after seven days from the date of such publication. Last month, Tata Motors had started the delivery of the contracted 40 electric buses to Lucknow City Transport Services Limited (LCTSL). Of the tenders floated in 10 cities, Tata Motors had won the tender to supply 255 buses in 6 cities, including Lucknow, Jammu, Kolkata, Indore, Guwahati and Jaipur for the respective public transportation agencies. 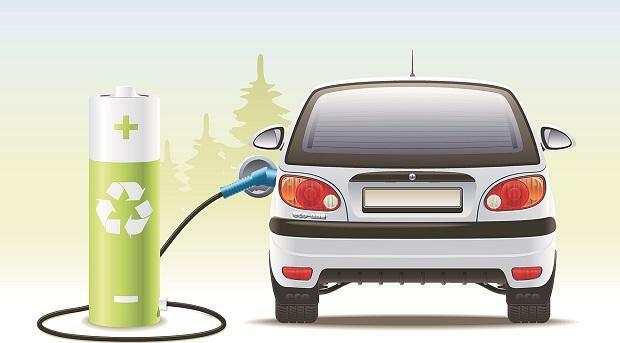 In July 2018, Essel Infraprojects (EIL) had launched its EV charging stations and battery swapping technology in Lucknow. The project was touted to garner an investment of Rs 1,750 crore with the roadmap of launching 250 charging stations and 1,000 battery swapping stations across UP.